You are enlisted into the elite military unit known as GI Joe. Your mission is to deactivate the bomb before it explodes by finding all the matching pairs before time runs out. Joe Characters will offer you encouraging words or warnings when you are performing poorly. There are 4 levels each with progressively shorter time to disarm the bombs. 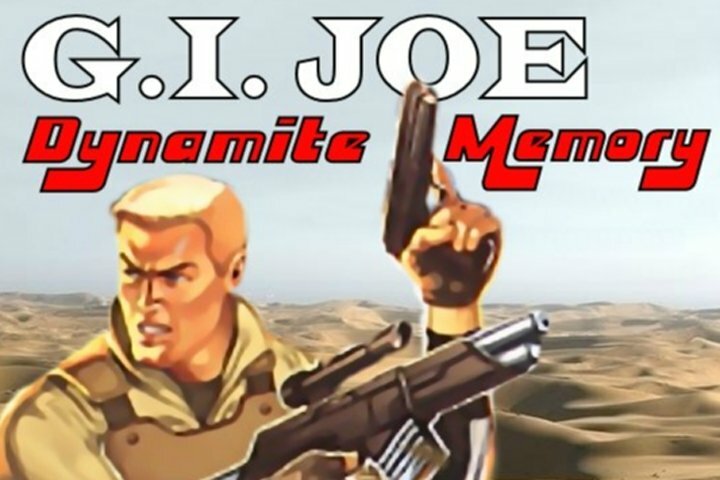 Think you got a dynamite memory then play this fun GI Joe Game today. Find all the matching characters before the bomb explodes. Each match brings you closer to disarming the bomb in time. If you want to play GI Joe Dynamite Memory games online you have come to the right place! GamesLoon adds new GI Joe Dynamite Memory games every week. This is your game portal where you can find the biggest collection of free GI Joe Dynamite Memory games online. Do not forget to rate our GI Joe Dynamite Memory free online games while playing!